Clever parents ensure that their kids never turn into couch potatoes. Nature, with all its secrets and joys is there to be explored with parents or, later, on holidays or on summer camps. At the same time, however, it is very important that children have plenty of restful sleep and can relax their back, because this is the only way for them to develop strong musculature of the spinal column. The Trek Bed S, the ultra-lightweight and self-inflating sleeping pad for children, is also perfect as a travel cot and will ensure that little explorers will be rested and ready to dive into new adventures the next day. Trek Bed S by Outdoorer ─ available on Amazon! If children don’t like something, then they don’t use it – it’s that simple, so it was important for us to make the Trek Bed S as pleasant as possible. It has a velvety surface made of soft-touch polyester, which is hugely pleasant against the skin. Your child will love to drift off to sleep so „gently“, without needing to spend hours counting sheep. We also created a sophisticated design for the patented valve, which is tucked away in the rounded corner of the camping mat. It can be adjusted by pulling and twisting to open and close it, this stops it from jamming with other valves. Children are full of energy and like to mess about. This is why we chose a TPU coating for the Trek Bed S. This is much more tear-resistant and abrasion-resistant than a PVC coating. 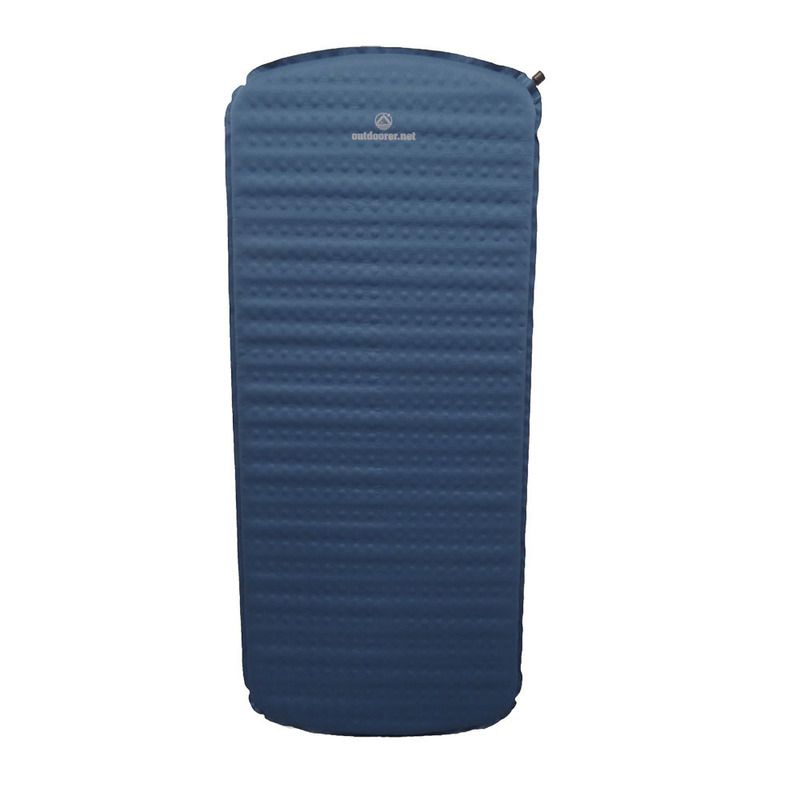 The fact that the self-inflating sleeping pad for children is UV-resistant helps to ensure a long service life. Moreover, it can be produced in a much more environmentally-friendly manner than the PVC equivalent. 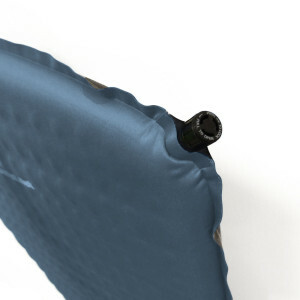 There’s another advantage – you can dispense with a thermal mat with PVC coating because the undersides of all Outdoorer sleeping pads in the Trek Bed series are absolutely non-slip and waterproof. The ultralight, self-inflating sleeping pad is genuinely tiny, weighing in at about half a kilo and with a pack size of 27 x 12 x 12 cm. Spread out it offers a lying surface of 122 cm in length and 51 cm in width. 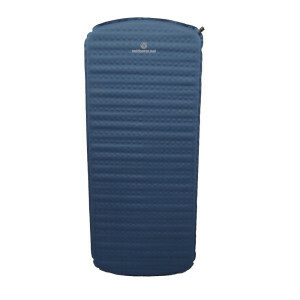 It is ideal for children or ultralight trekking fans, who are looking for a comfortable sleeping pad for the upper body. In spite of its feather weight, the Trek Bed S allows for a more restful sleep than significantly thicker and heavier camping mattress. And after the good night’s sleep? Big people and little ones can pack away the Trek Bed S easily and quickly in the durable and robust nylon bag. TIP: The self-inflating mat Trek Bed S by Outdoorer is the perfect mattress to complement the children’s beach tent Zack Premium Baby. Together these can be used as a travel cot. Where can you buy the ultralight Trek Bed S? The Trek Bed S by Outdoorer can be ordered via Amazon. Where to buy the Zack Premium Baby beach shelter? The children’s beach tent Zack Premium Baby is also available at Amazon.